TECHNOLOGY advances and cheap car loans are speeding up the buying cycle and pushing up the price of new cars. Motorists want the latest technology for the lowest repayments. With loans available from as low as 3.99% in Australia and even less in other parts of the world, they have access to more affordable car loans to pay for it. These days, five-year-old cars feel more like time capsules than something you’d proudly drive to work as the rollout of new features gets faster. Comparing dashboards is the biggest eye-opener. 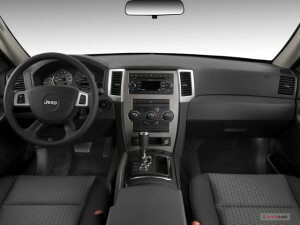 The New: Inside the 2015 Jeep Grand Cherokee. The not so old: Inside the 2010 Jeep Grand Cherokee. Most of the buttons and knobs that were common a few short years ago have been replaced by a screen that looks more like a Smartphone or a tablet. Many features come as standard, even in entry level models that appeal to drivers on just about any budget. The sheer number of gadgets most buyers expect in a vehicle is driving car makers to outbid each other and come up with new options to keep ahead of the competition. Bluetooth, built-in GPS and rear cameras are all passé for discerning motorists, as cars become more extensions of Smartphones with integrated Wi-Fi full of apps at a driver’s fingertips. Technology that could become standard in production models soon includes driverless motoring on freeways and in traffic jams, keeping cars in lanes and adapted to speeds of surrounding cars. 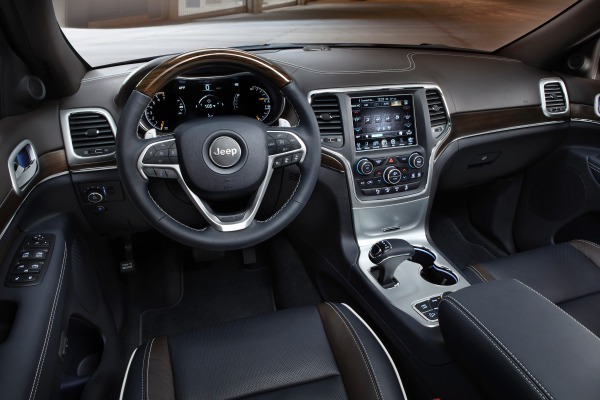 Already, safety features such as emergency breaking, adjustable cruise control and fully automated parking assist are widely available in optioned models. If you are looking to upgrade and enjoy some of the latest automotive technology, visit our homepage now and get a fast quote to offload your old car. This incredible advertisement for the Hyundai Genesis shows what’s coming soon in an eye-catching way. Here is a list of some lip-smacking technology that will be commonly featured in cars of tomorrow. Cars that make decisions independently of drivers are already here. Emergency brakes are becoming a must-have safety feature. By 2020, technology will have advanced to the stage where sensors in the car will have the final say, not the driver. Drivers who are prepared to be tracked by their insurance companies will save money on their premiums. But be warned, premiums will be based on driver behaviour. Opting in could leave careless drivers exposed to huge increases and a black mark on their driving records. Smartphones already have remote shutdown technology for stolen devices and it’s also here for cars. Disabling your stolen car with the press of a button and locating it with advanced tracking? No problem. James Bond fans rejoice. Cars that stop and dial 000 when the driver has a heart attack are no longer imaginary. Combining wearable technology – such as wireless monitoring machines – with autonomous technology (driverless cars) will make this possible within a few years.